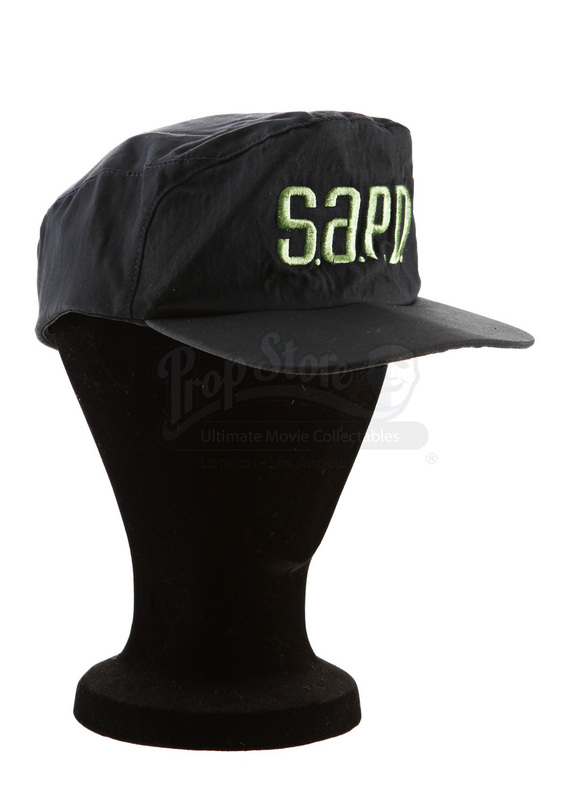 This is a San Angeles Police force costume hat worn in the 1993 Sylvester Stallone action film Demolition Man. 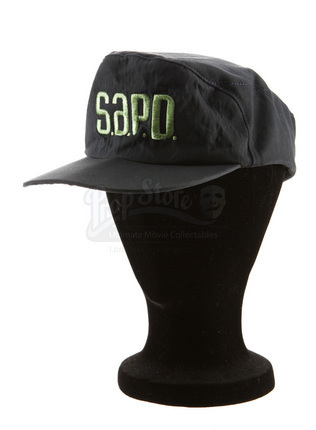 This futuristic style baseball cap was worn by one of the S.A.P.D. 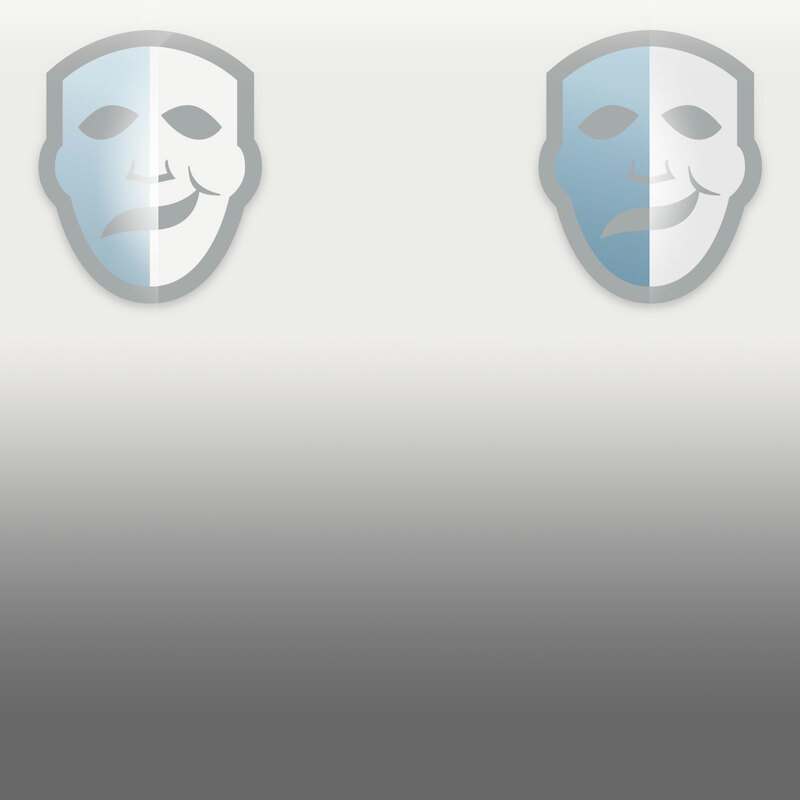 officers seen throughout the film set 30 years in a crime-free future that is ill-equipped to deal with one of the most dangerous criminals of the time! 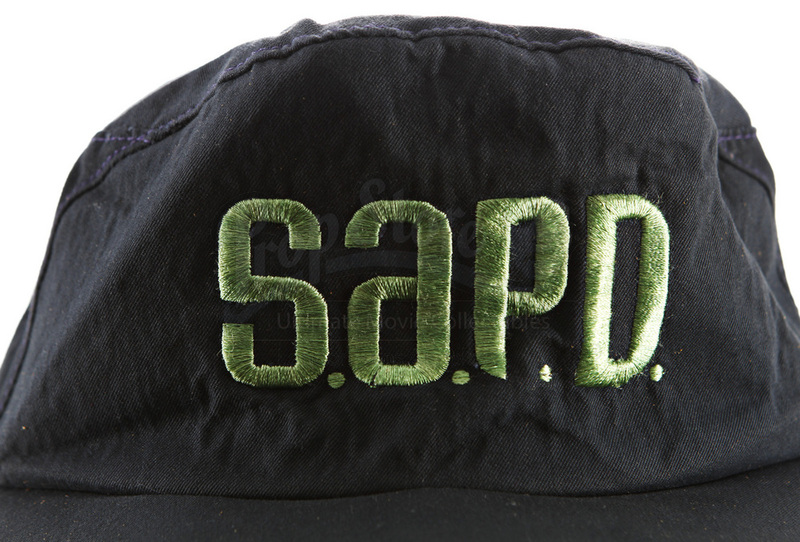 The navy blue uniform piece is made out of a cotton blend material and features an embroidered grenn S.A.P.D. 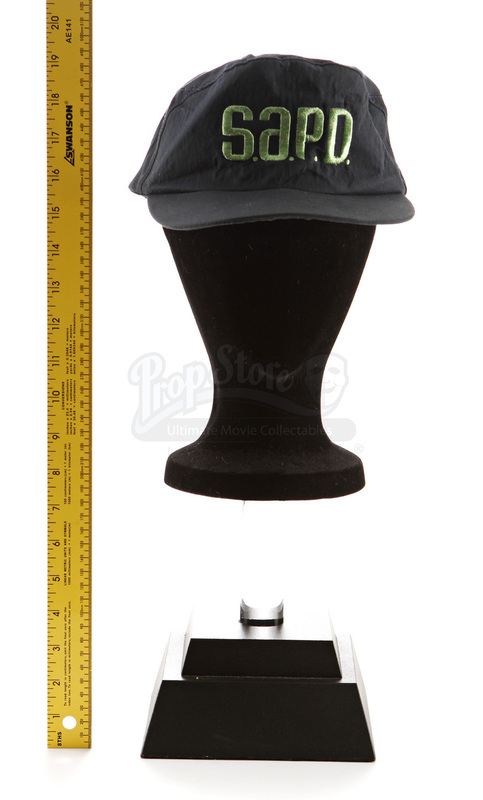 logo across the front. 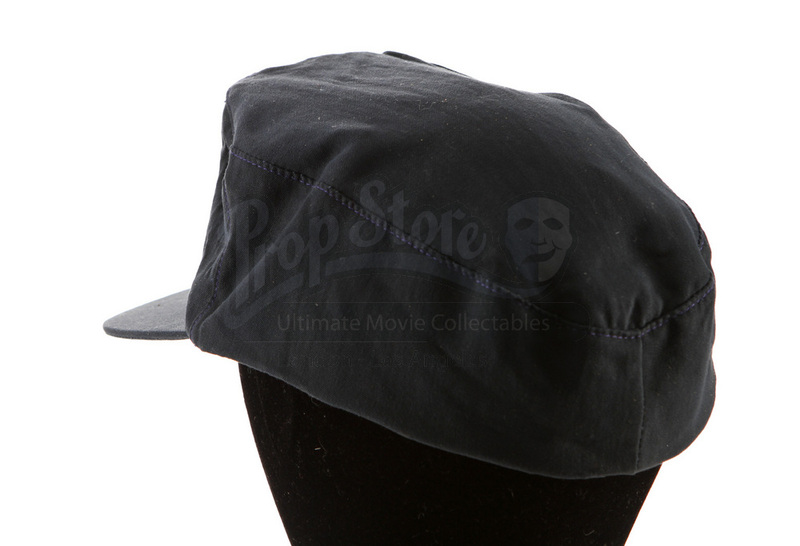 This item displays some light wear from age and production use and the foam material lining in the lower rim of the hat has started to deteriorate, but overall this recognizable piece remains in good condition.